Hot off the presses, folks. Thanks to super-reader RoyalScam for the tip back in this post. Hit the jump for some good times! 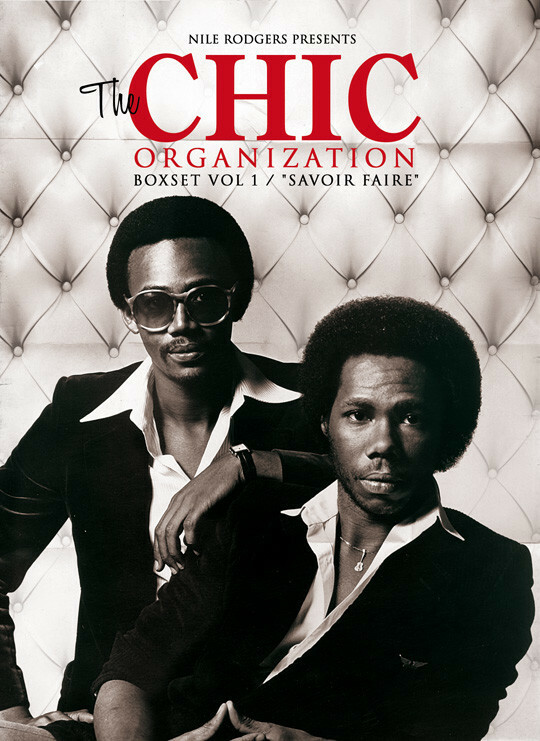 CHIC – Est-ce que c’est chic? Original versions of Disc 3, Tracks 6-7 from Diana (Motown, 1980). These tracks previously released on the 2003 deluxe edition of the album (Motown/UMe). This to me is THE release of the year! To fi-nal-ly have three tracks off of “I Love My Lady” is a dream come true- and the rest of the goodies included in this box set are amazing too. It looks GREAT to me~! I’m looking forward to this box. So very, very much. Thanks Phil! Aww, I was just playin’ Mike. I’m not a credit whore. It’s all about the music here. Your site is my replacement for ICE’s “Reissue Front”…took a long time to find one! Have been waiting for a Chic box for years and was very pleased to find that one’s coming out. Heart sank when I saw that Dmitri from Paris has remixed five of the songs on it. Why mess with perfection, this has totally soured the box for me now. Apparently if sales for the box set are good, there will be a volume 2, including among other stuff an alternate mix of “Good Times”.